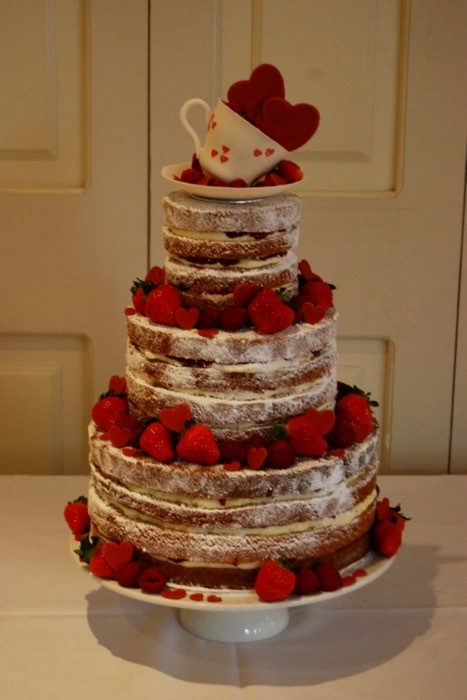 4” 7” & 10” round tiers. 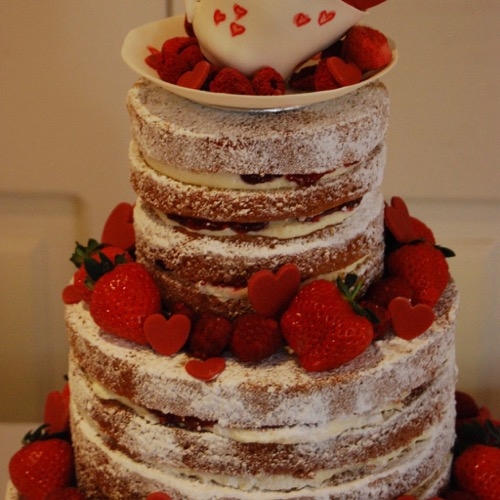 Tiers sprinkled with icing sugar and decorated with summer berries and handmade sugar hearts. 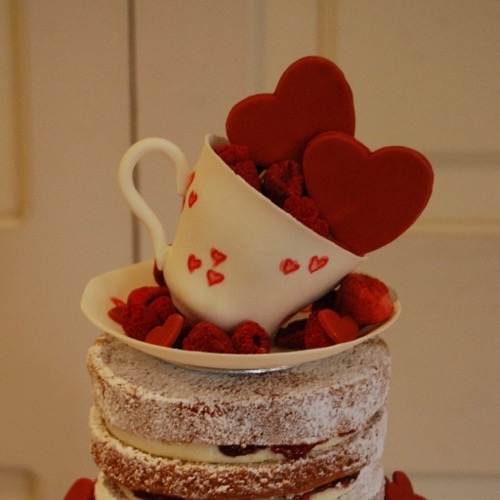 Handmade and hand painted sugar teacup and saucer.